First, I would like to thank all of the “sling shooters” for running the match, Mike St Clair (USCM Retired and SMGC member) was the match director, Jim Oconnel, Dennis VanLier, Mike McShea (pistol shooter) were some of names and faces you might recognize from Coalinga and Berger SWN. 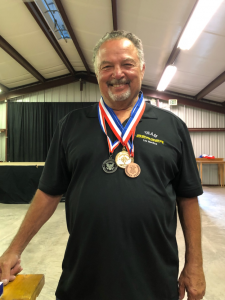 We had 3 club members travel to Raton New Mexico for the 2018 F-Class Nationals. Mark Roth, Lou Murdica and Mike Jones. We also have a friend, Ed Harrach, from New Mexico that I made and honorary SMGC Member for the team match. The mid-range match started on Sunday September 16, whenever you, or I, fired your first “9” for score, you had lost the match. The eventual winner, John Myers shot 1800-133X as the aggregate score. It was impressive shooting in challenging conditions. Second place was Tod Hendricks 1796-119X. Our honorary member, Ed Harrach, was one of the bronze Medalists with a score of 1795-110X. Either of those score would have won last year. For the Midrange Team Match we finished 7th overall with a 1585-85X. We were 8 shots from third overall. 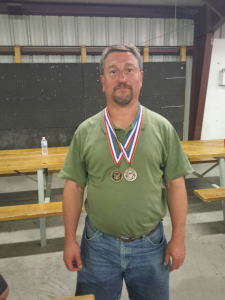 The winning team Brux- Lapua-Borden shot a 1598-112X. Long Range Started on Thursday, September 20 in a downpour of rain. I shot a 199-9X and could barely see the rings on the target, maybe that’s what I need to shoot well. The days remaining matches were cancelled after the first string of fire. The rest of the matches were conducted in challenging conditions. At various times flags lied, mirage lied and even combinations of the two seemed be not be telling the truth. I have a lot to learn from Harry. Also when you shoot is a factor as conditions varied widely from string to string. Most of the match, I was shooting and pulling with Lou Murdica (SMGC member, disabled Navy vet). 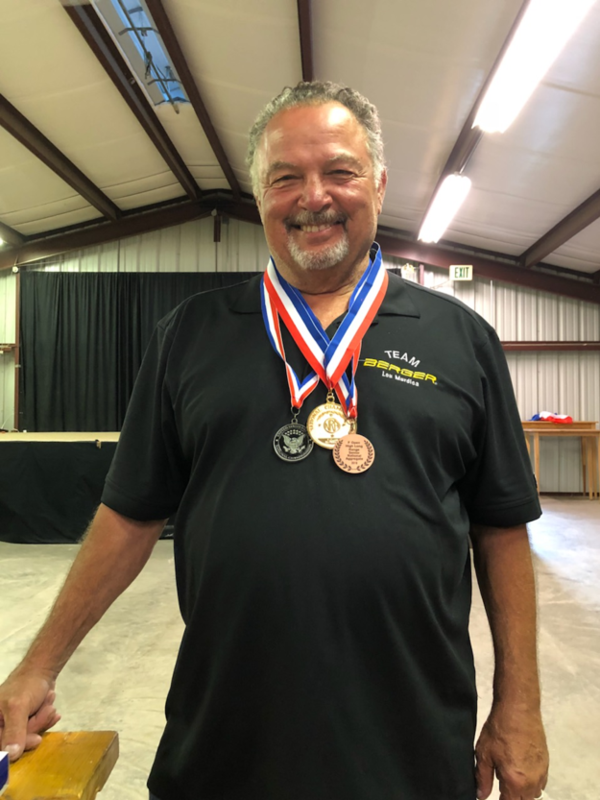 He finished 3rd overall in the Long Range aggregate, High Senior, and 2nd overall for one of the days, his aggregate score was 1181-50X. Great Shooting – Lou! Mark Roth finished 23rd overall with 1174-40X, honorary SMGC member Ed Harrach finished 25th overall with 1173-37X. Good job Mark and Ed! For planning purposes, the CA State Long Range Championships are coming the first weekend in November. I have not seen the match form anywhere. If someone finds it please forward it to me for disbursement. See you on the range soon.